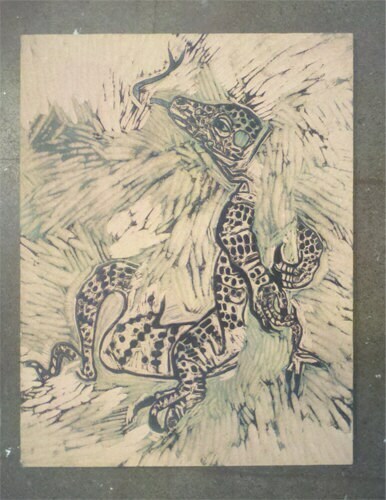 This original hand-pulled color-reduction woodcut features a dragon and a pygmy elephant. 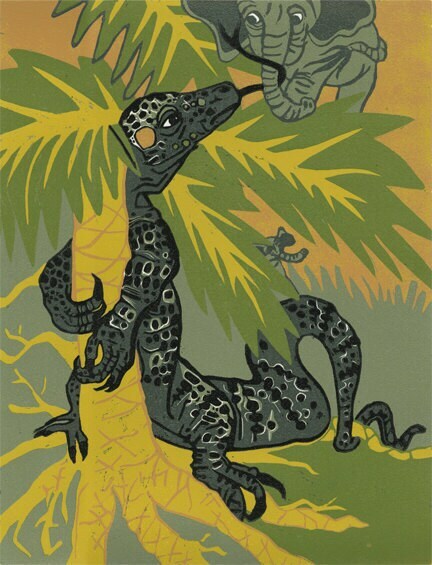 The title is, "If Pygmy Elephants Climbed Trees." Part of my Isolation Produces Oddballs series. Elephant bones were found on the island of Flores where dragons reside. There is a theory out there that people believe that Komodos grew and grew until they could feast on the pachyderms. Image size 13" x 17" Paper size 20" x 18"